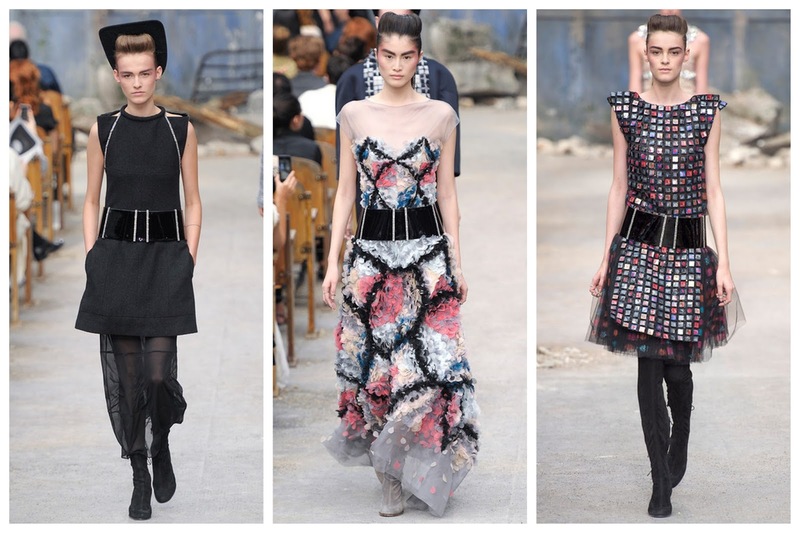 There was a little something for everyone in Paris last week at the fall 2013 haute couture shows. 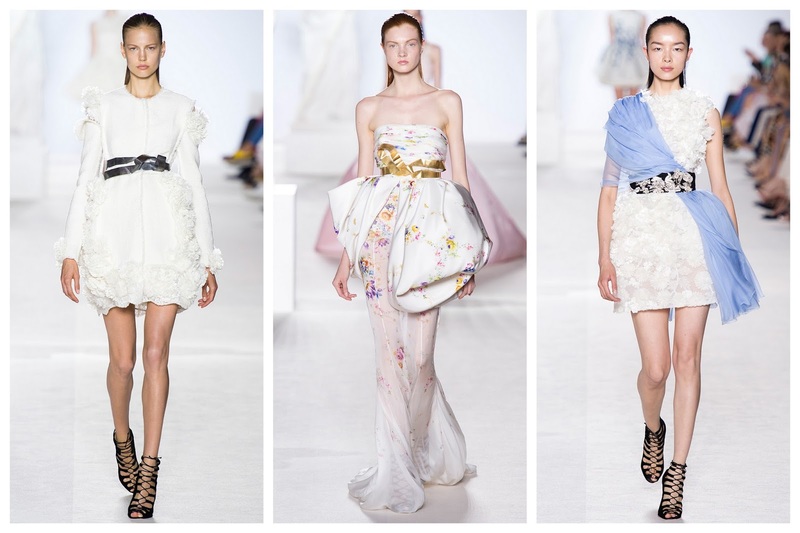 Giambattista Valli proved once again that he is an artisan when it comes to manipulating flowers. He was thinking of "porcelain goddesses" while crafting fragile and delicate masterpieces reminiscent of vintage Christian Dior gowns. Fittingly, the runway was lined with statues adorned with white hydrangeas, adding to the romanticism of the dresses. 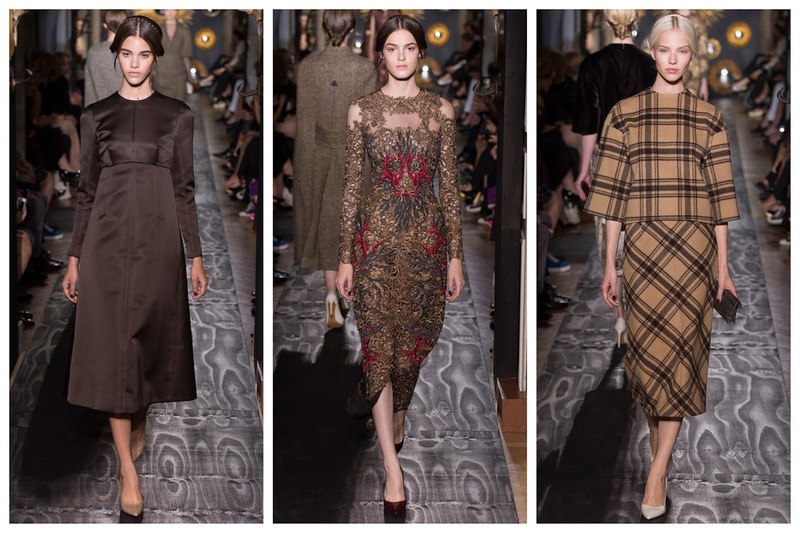 In contrast to Valli's light and airy designs, Valentino displayed fall colors and heavier textiles. 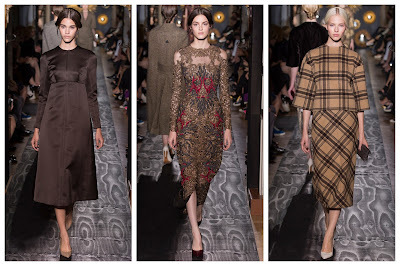 Many of the looks were, surprisingly, wearable for day-to-day affairs. The quote, "Simplicity is the ultimate sophistication," by Leonardo da Vinci inspired the design process. Clients seeking custom, haute couture clothing also desire originality and that is why wunderkammer came into play. The German word means a place where a collection of curiosities and rarities is exhibited. "In a cabinet of curiosities, the pieces are very unique, very one-of-a-kind," said Valentino Creative Director Pierpaolo Piccioli. "We've tried to make something that is not only special, but also surprising, unexpected." Karl Lagerfeld's futuristic haute couture collection for Chanel debuted at the spectacular Grand Palais with a dramatic set that was both creepy and brilliant. 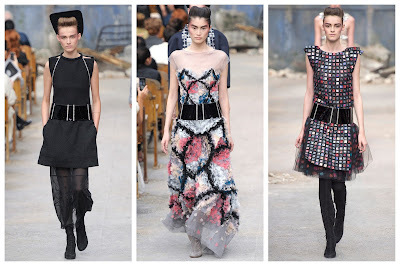 "On the way from the Old World to the New World," was Lagerfeld's summation of his grand show. "And fashion is the only way to make the trip." He based the looks on "tradition with future." There were design details that resembled past eras, but also a nod to what's next. He completed each look with a wide belt. That sealed the deal for me. Couture week in Paris always inspires pushing the limits of fashion and creativity. I have been wanting to experiment and create different silhouettes. This week, I put aside my go-to black fabric and chose a bold, colorful print on a stiffer textile from Mood. I wanted to create a structured dress with box-like cap sleeves. Through trial and error manipulating the fabric, I finally got the sleeves just right. As the old proverb goes, "If at first you don't succeed, try, try, try again."